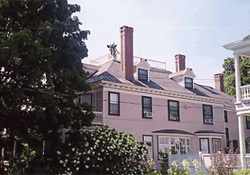 Readmore Historic Bed and Breakfast awaits your getaway to Vermont. Choose the beautiful Readmore Bed and Breakfast Inn with beautiful spacious guest rooms, gourmet breakfast, romance, leisure or business. Set in the charming village of Bellows Falls Vermont and close to everything our state has to offer. Relax getting here is easy. Put your feet up, sit by a fireplace and relax. Enjoy a delicious breakfast and afternoon tea. Readmore is one of the Editors Choice award winners in Yankee Magazines Best of Vermont Travel Guide. Click Web Site Below for details, photos and reservations. You will want to return again and again. Welcome to Readmore Bed, Breakfast & Books a Bed and Breakast listed on the National Register and named one of the prettiest country homes by Ladies Home Journal. We were also featured in Bob Vila's Restored America. Stroll in our beautiful gardens and enjoy our afternoon tea. 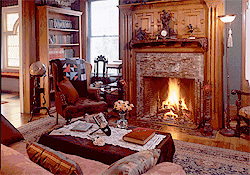 On a cold day relax by the fire with a book or play backgammon. 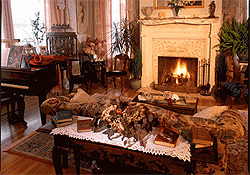 We sell our books and each room offers books according to the theme. You will enjoy local restaurants nearby for your evening dinner. We look forward to your visit. Reserve Now!